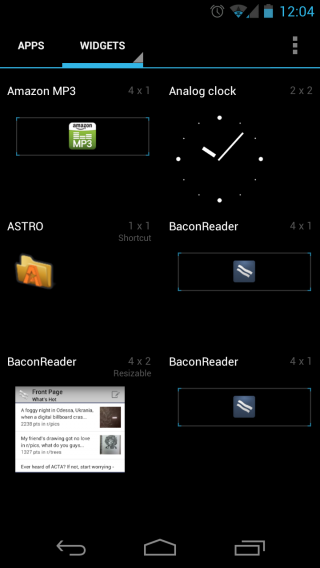 Our new favorite Ice Cream Sandwich based launcher, Nova Launcher, has received a pleasant update. Previously, you needed to install the launcher via zip file to have the widget menu accessible from the application drawer, but gone are those days thanks to this recent update. Just install the apk as you would any other launcher, grant root access and you’re good to go. Along with that, there have been a few bug fixes and general tidying of the app.